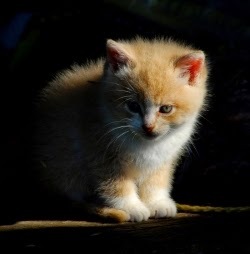 Most cities and towns have their share of feral cat communities, and almost as often, some of these will end up in the rescue shelters, along with the unwanted pets, or animals rescued from abusive situations. Shelters do the best they can to care for them, but without continued support for their communities, it can be a struggle to provide the necessities like food and veterinary care. Each year, government funding is either reduced or frozen at levels that make it difficult for the shelters to provide everything necessary for their charges. That's where communities can help. Some shelters run charity drives; some offer a variety of ways to contribute, including volunteering. If you have pets, or even if you just love animals, there are often ways you can help your local shelter even if you can't contribute financially. What's Better Than Financial Donations? Volunteer to Walk a Dog! For those who like to spend time around animals, there are any number of ways to help support local animal shelters when you aren’t able to financially contribute. Our local animal shelter is always looking for volunteers to walk the dogs or puppies – if you have 15 to 20 minutes to spare, the canine crowd will benefit from these outdoor activities; walking helps keep them active and healthy, and is just plain fun for dogs and their walkers. The shelter also benefits when people volunteer to clean or do laundry – there are always blankets and toys that need a cleaning, and the animal beds and rooms need regular cleaning to help keep the pets healthy, safe, and happy. Some shelters, like ours, have the feline residents in rooms with glass walls, so keeping those large windows clean so visitors and potential “pet parents” can see the kitties is important for those hoping to be “adopted”. Did you know Ontario's SPCA shelter has a webstore, where you purchases can help support them; or that you can apply for a BMO-OSPCA Mastercard which helps support the shelter with every purchase you make using the card; or that you can donate your HSBC Reward points and you can donate unused gift cards? Be sure to visit your own local shelter to find out all the ways you can support them. Shelters often have options for donating supplies and goods, rather than cash. This is one of the ways my family supports the shelter. When giving a donation of “real goods” instead of cash/cheque, we can be certain the supplies are used within our community, and we really like that idea. Local branch shelters sometimes need extra help when there is a large influx of pets or feral animals, and quite often, the cat and kitten population at a shelter can be one of the most difficult to keep fed. We usually call the shelter directly before planning our shopping list to find out what they need, and we’ve discovered this is one of the best ways to make sure the shelter and their charges get what they need, when they need it. 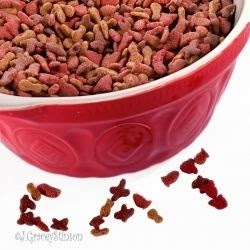 Sometimes there is more than enough food, but they are in dire need of laundry and cleaning supplies, other times they might be down to their last scoop of cat food, or they may need “comfort blankets” for dogs and cats. Whatever they happen to be running low on at the time we call, we try to purchase right away, along with whatever else we can afford at the time. We also keep a carton handy in the close where we deposit other things like dry food for cats and dogs; small blankets (purchase these at the dollar store), j-cloths, paper towels, cat and dog toys, cleaning supplies (we like green products that are safe for animals) like window cleaners, all purpose spray cleaners, laundry soap and bleach. When the carton is too full to put any more in, we deliver the products and begin to refill the carton. Adding one or two products to the carton every time you grocery shop makes giving “what you can, when you can” easier and affordable, and our local shelter loves getting these boxes of supplies. Before I go – one more way to make donating easy on the pocket book. Sell items that you create yourself, and use the proceeds (or a portion of the proceeds) as your donation or put it towards the cost of purchasing the supplies. My best selling items to support our animal shelter are bumper stickers. A small tip – when creating the items, don’t make the text “shelter specific”. In other words, if you don’t name the shelter on the item and keep the text generic, it can relate to local animals shelters anywhere, not just in your own town. Thanks for helping support animal shelters everywhere!